Greetings and welcome to another installment of The Ten Percent! Every two weeks (well, roughly), Ensley F. Guffey and I use this space to take a look at the inverse of Sturgeon’s Law; in other words, the small portion of everything which is not crud. Viewed as a whole, Sturgeon was, sadly, right – the vast majority of movies, television, writing, art, and so on really is crud – but there has always been that slim slice of sublime. The Ten Percent isn’t limited by genre – I think our previous columns have proven that point – and that’s because these rare gems are high quality productions which demand more of their viewer than simple passive reception. I have, on occasion, discussed an entry that makes the cut on The Ten Percent in more than one category, such as a book and the movie made from the book. It’s hard enough to create ONE fantastic thing; to create a Ten-Percent-worthy work in more than a single medium is truly catching lightning in a bottle. Which brings me to Neil Gaiman, an author I’ve been a fan for 25 years. Seriously – the first time I met him, he was kind enough to sign my Tori Amos Little Earthquakes CD, which now sports “Hi by the way” in gold Sharpie. If you don’t get that, well, click here. An avid reader from early childhood, Gaiman was influenced by writers such as Lewis Carroll, C. S. Lewis, Rudyard Kipling, and Michael Moorcock. Gaiman honed his skills first as a journalist and, like most everyone trying to make his bones, there are a few early works that were simply done to pay the rent. But it was a serendipitous encounter with an issue of Alan Moore’s run on Swamp Thing that first put Gaiman’s feet on the path of seeing that comics could be sharply and smartly written. He eventually began working for DC Comics and, after reading his work on Black Orchid in 1987, Gaiman was offered a chance to re-create an old DC character with his own unique spin. Thus began both the Vertigo imprint of DC Comics and Gaiman’s astonishing run on The Sandman. Far from the B-grade title it had once been, Gaiman’s Sandman quickly earned legendary status for its rich storytelling, incredible art, and unforgettable characters. Much could be written just about Gaiman’s work during this period, but I’ll just mention one item. In 1991, Gaiman was awarded the World Fantasy Award in the short story category for issue #19, “A Midsummer Night’s Dream.” Comics were never intended to be eligible for that category and the organization, which issues on of the top prizes for fantasy fiction, has seen to it that no comic has been nominated in that category since Gaiman’s win. Nevertheless, Gaiman is one of the rare authors who has won all three of the trifecta – the World Fantasy Award, multiple Hugo Awards for best science fiction/fantasy writing in a given year, and multiple Nebula Awards for best science fiction/fantasy published in the United States. While Neverwhere has and always will have a soft spot in my heart, with American Gods (first published in 2001 and the recipient of both the Hugo and the Nebula – the man’s no slouch!) Gaiman went in an entirely new direction. This novel is huge, sprawling, and jaw-droppingly good. Like almost all great books, this one can hook you with just a couple of “what if?” questions – First, What if, when immigrants came to America to settle, they brought their gods with them? And second, What happens when new gods rise and want their own piece of the Divinity pie? Gaiman is English by birth and he brings an outsider’s point of view to this examination of the boisterous crazy-quilt of a country that is America. In Sandman, Gaiman created the Endless – a family of seven siblings who embody particular universal functions. They operate much like gods in that they bicker among themselves, are rarely comfortable outside of their own sphere of influence, but reign supreme within their own territory. With American Gods, Gaiman stepped up his already-impressive game to show readers a relatively-young country crammed with gods. Old gods, whose names are now nearly forgotten, were brought over by the first settlers of America, but as the country changed, they were left behind and they are quite unhappy about being pushed aside – especially being pushed aside by these new, brash gods created by modern American society, who have no respect for the old ways and plan to rewrite reality to best suit themselves. Ritual and worship take many forms in American Gods and the old ways have not been totally forgotten. Quite frankly, I doubt anyone else could have written this lush tale and I’m feverishly glad that Gaiman did. Honestly, that would have been enough for me. But unlike some of Gaiman’s other work (still waiting for a Death movie), American Gods has been adapted and will be available as a TV series on the Starz network beginning on April 30. In connection with the series, a 27-issue comic series adapting the novel is being released by Dark Horse. This series will be comprised of three arcs and the first issue was released in mid-March. If you’re a Gaiman fan, run, don’t walk, to your comic retailer and get this on your pull list. It’s faithful to the source novel and the artwork is enough to make you swoon. As to the Starz series – I’ve only seen the two trailers and they had me punching the air in anticipation and delight. Ricky Whittle as Shadow seems to hit just the right balance between wariness and curiosity and Ian McShane is spot-on perfect as Mister Wednesday. 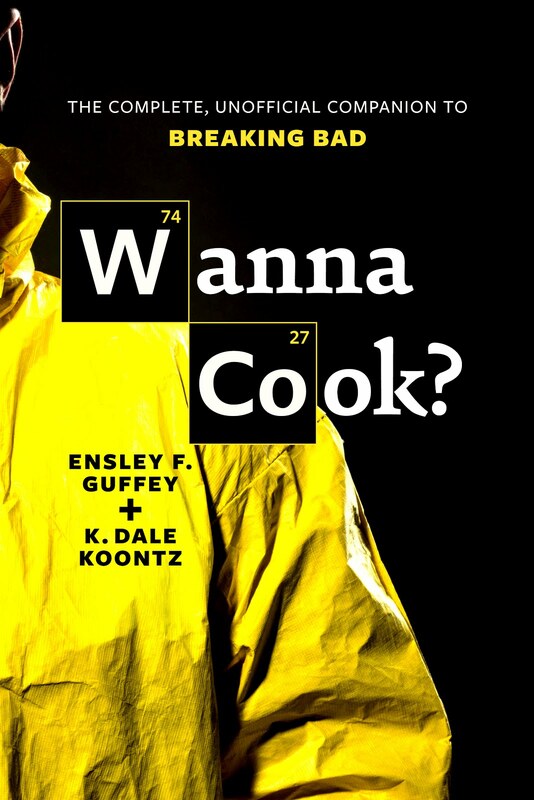 Ensley F. Guffey and K. Dale Koontz are co-authors of Wanna Cook? 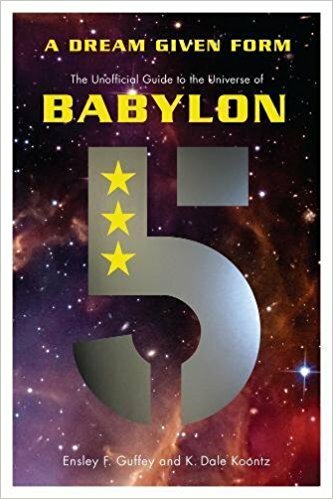 The Complete, Unofficial Companion to Breaking Bad, and of the forthcoming Dreams Given Form: The Unofficial Companion to the Babylon 5 Universe (September 2017). You can find Dale online at her blog unfetteredbrilliance.blogspot.com and on Twitter as @KDaleKoontz. Ensley hangs out at solomonmaos.com and on Twitter as @EnsleyFGuffey.